Need help finding the perfect range? Strengthen compliance and manage risk with in-depth legal insight and advanced due diligence. 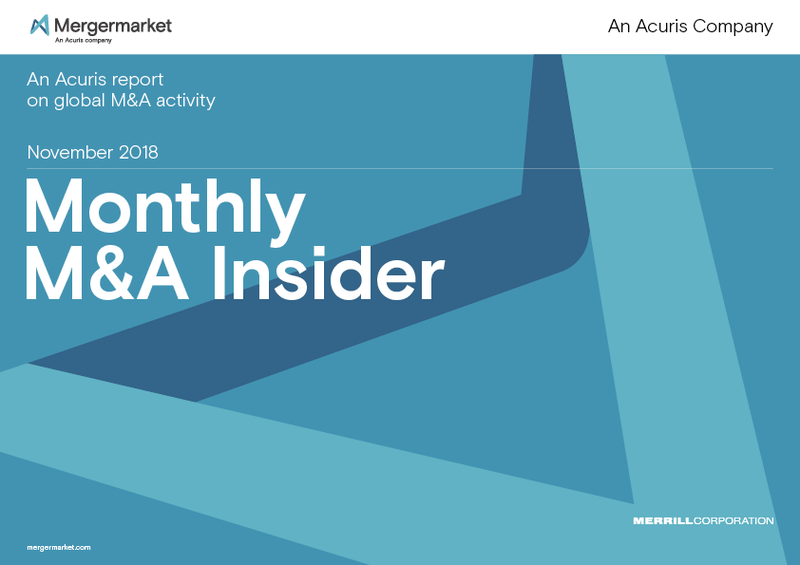 Dealmaking continued its swift pace in October, especially in North America, despite a backdrop of political and trade disruption worldwide and volatility in commodity markets. M&A value globally reached US$3.05trn through the first 10 months of 2018, putting it on track to exceed the total of each of the last two years. Among sectors, Technology held the top position for deal value in October with US$57.4bn, followed by Energy, Mining & Utilities at US$54.5bn. Deals worth US$3.05trn were announced through October of this year, compared to US$3.15trn announced in all of 2017. Four of the top 10 deals for October involved a target in the Energy, Mining & Utilities sector. PE buyout value decreased 30% in October to US$25bn, continuing a trend of declining PE deal value also seen in Q3. Ensure you're the first to receive key publications for Mergermarket and Debtwire. Get in touch with the events team with the details below or visit the full events contact page here.